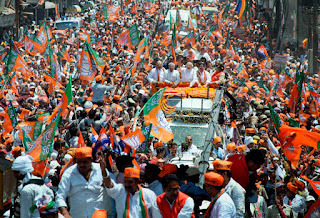 It was a melange of red, green, saffron and blue as political stalwarts from four big parties descended in the holy city for a big push to their campaign before the final phase on March 8. 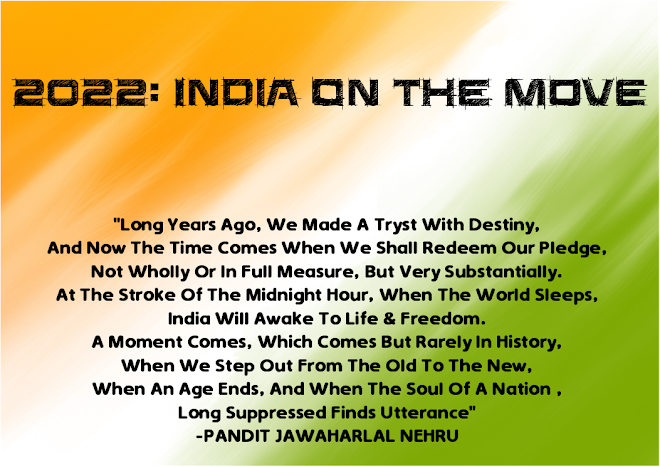 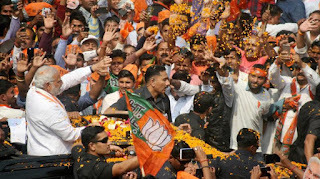 The big bang day starting with PM Narendra Modi's roadshow-which the party preferred to call `jan darshan'-and ended with his rally at the Town Hall late in the evening. 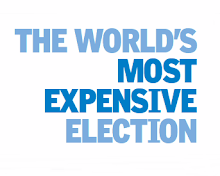 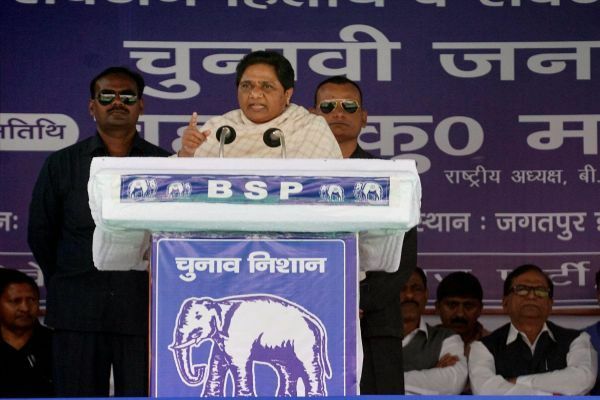 In between, SP president Akhilesh Yadav and Congress vice-president Rahul Gandhi held an equally impressive roadshow that lasted for over five hours and BSP chief Mayawati said at a rally that `these `gimmicks' don't win elections. 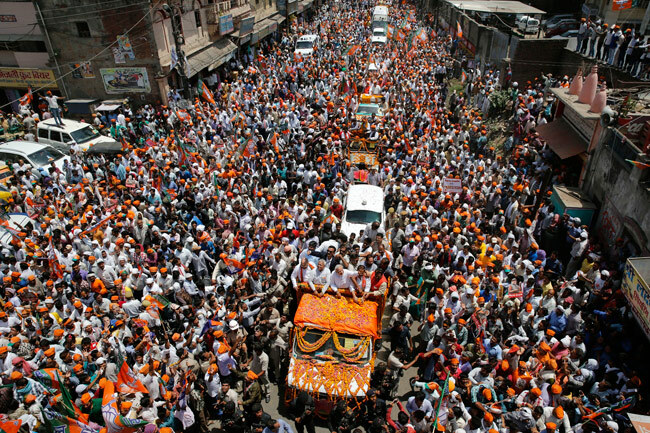 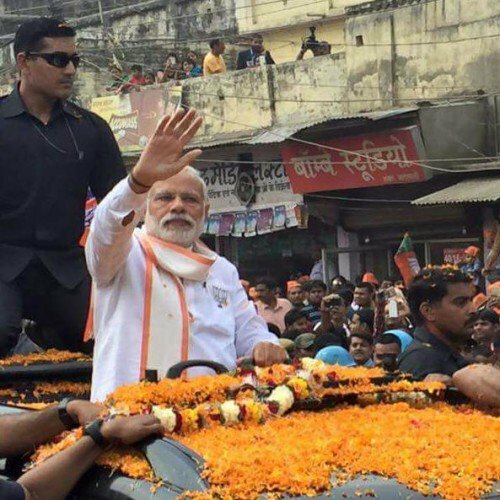 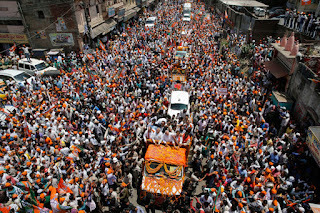 Modi's roadshow that started from Lanka near BHU and traversed through the narrow lanes of the city with BJP supporters raising slogans like `Subah Banaras, Shaam Banaras; Modi Tere Naam Banaras' and `Har Har Modi, Ghar Ghar Modi' all through the 4.5 km route till Kal Bhairav temple. 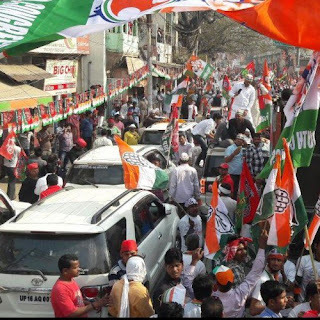 Around almost the same time, another area of the city was transforming into a sea of red as Akhilesh and Rahul started their much-anticipated road show from Kutchery Chauraha. 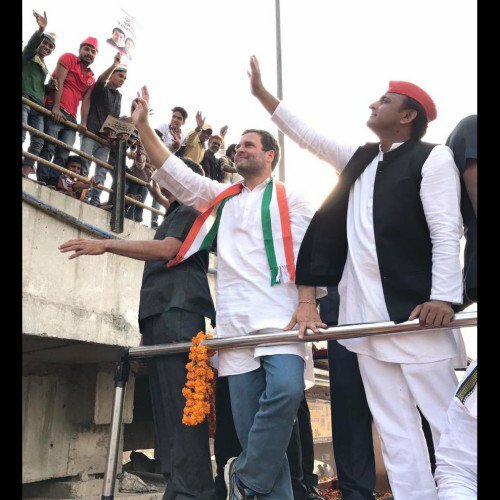 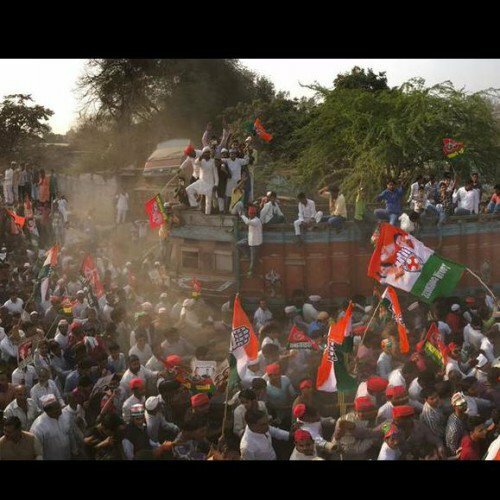 Hundreds of supporters wearing the SP's red `topi' and waving flags and banners bearing symbols of both the parties lined the streets-a little more open than the route taken by the PM's cavalcade-cheering Akhilesh and Rahul with slogans like “Akhilesh nahin ye aandhi hai, saath mein Rahul Gandhi hai“. Akhilesh's wife and Kannauj MP Dimple Yadav, too, joined the jamboree after a while as it travelled more than 8 km. 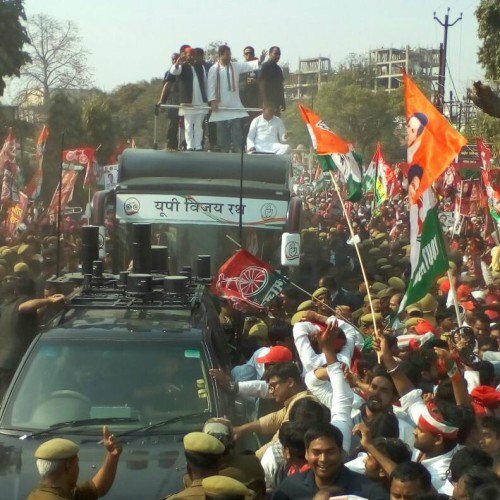 At a rally in Unchahar, in reply to PM's allegation of discrimination in power supply, chief minister Akhilesh Yadav had asked the PM to swear by the Ganga if there was no 24-hour electricity. 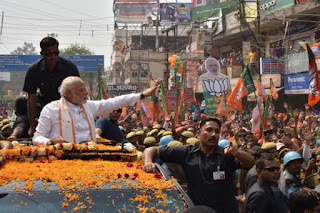 Launching an attack on Akhilesh, Modi mocked at the CM saying there was a power cut when they went to offer prayers at Kashi Vishwanath temple in the evening. 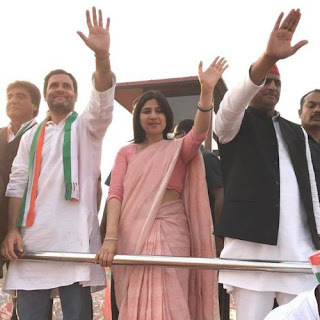 According to local shopkeepers, there was no power when Akhilesh along with his wife and Kannauj MP Dimple Yadav went to offer prayers at Kashi Vishwanath temple.